Squatters eligible for a housing subsidy and seeking to register on the City of Cape Town’s housing waiting list, will now have to own smartphones or at least be computer literate. The City has placed its housing database on the internet, where eligible applicants can register. But this might not be exciting to Kasi’s squatters living in squalid conditions without access to smart phones or electricity. Du Noon’s Siyahlala squatter camp community leader and member of the South African Civic Organisation (Sanco) Du Noon branch, Messie Makuwa-Mpukane, said the launch of the housing database on the internet was a mockery to informal settlement residents who are not internet savvy and are unemployed, thus unable to afford smartphones. Mpukane, a mother of six children, said there are squatters who are not even aware that there is internet. “What about the elderly who can not even punch numbers on a basic phone and have to call children to help them?” asked Mpukane. Most recently, the City announced that in its efforts to increase service delivery through innovation and efficiency, residents qualifying for RDP houses can now apply on the internet to be registered on the housing database. 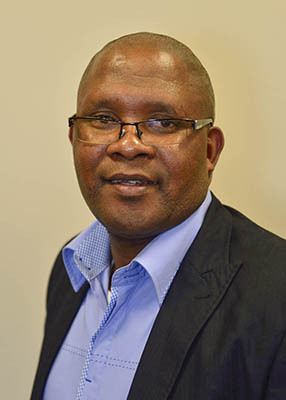 City’s mayco member for human settlements, Siyabulela Mamkeli, said the database is protected, updated, audited, and is necessary to prevent queue-jumping and to ensure the City’s service and housing delivery programmes are not jeopardised by the proliferation of unplanned settlements. Mamkeli said the introduction of the innovative service was convenient and safe for qualifying residents in terms of the subsidy criteria. “Residents can also make use of the City’s free SmartCape internet access at libraries, while our elderly residents can even be helped by their children and grandchildren to access the database online without having to face the challenges of mobility and travelling to housing offices,” said Mamkeli. He said residents who wished to make use of the new online housing database registration service must have their own valid cellphone number and during the application process, a one-time pin number will be sent via SMS. The cellphone number will also be required in future to update the online application, he said. Information residents would need to provide are: full names of the applicant and their spouse (if applicable), with ID numbers; marital status and marriage type and employment status. After submitting the application, the City will verify the information and should the applicant qualify for a housing opportunity, they will form part of the housing database. He said after this process, the applicant will receive a postcard acknowledging the application, which will include the registration number and the application date. But Mpukane said the online registration will only frustrate squatters. “The internet won’t help us,” she said.